Sitton Peak is a fun 10 mile day hike just off the Ortega Highway 74 in the Cleveland National Forest and San Mateo Canyon Wilderness. 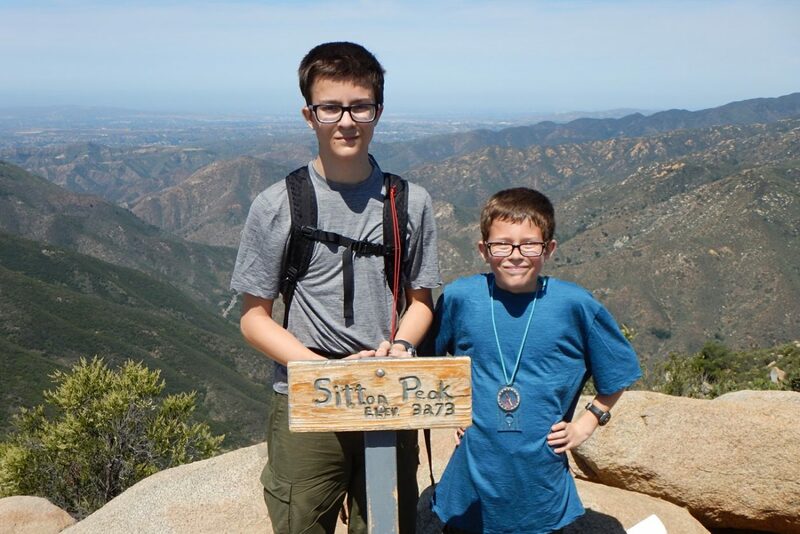 I’ve completed the hike a number of times and this past weekend my sons and I decided to bag Sitton Peak again for Summits on the Air. 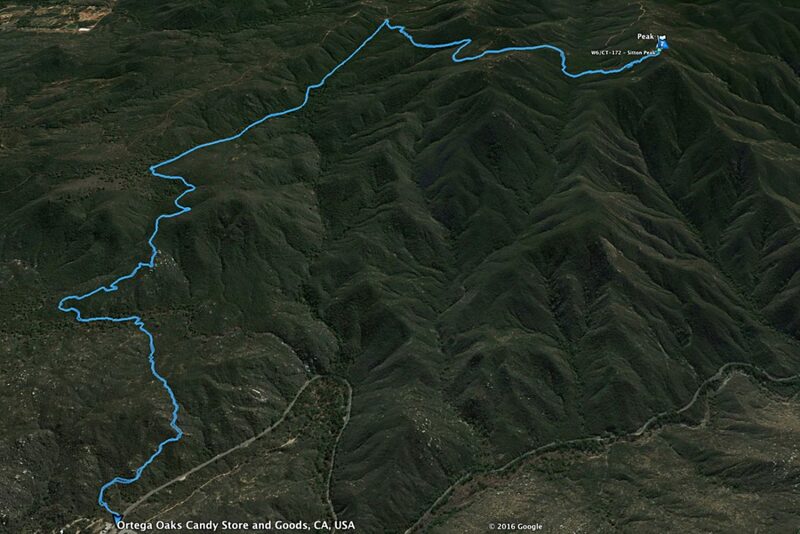 The hike is along easy to follow single track. 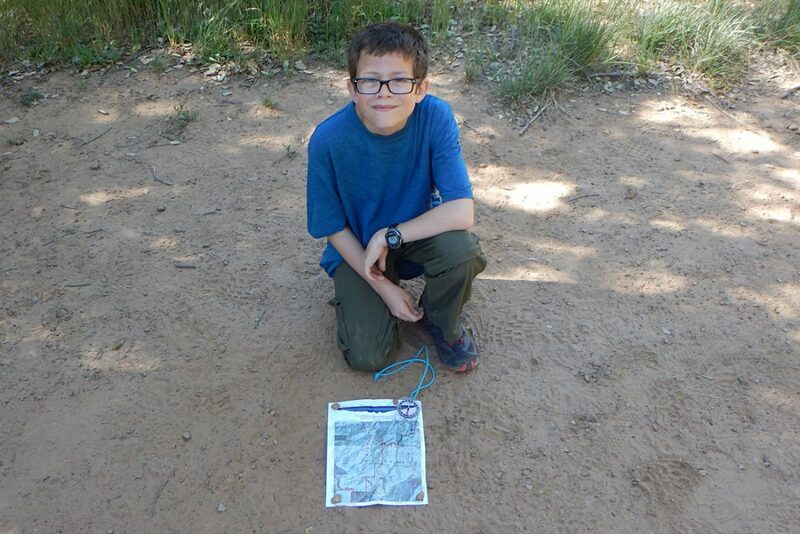 There are marked trail posts along the way but it is always a good idea to hike with a map. Will N6WMG is still honing his practical maps skills so I put together a map on CalTopo.com and printed it out for him to use. Here he is figuring out which way we need to go at the Bear Canyon / Bear Ridge trail fork. After a little more than 4 miles there is a short scramble covering roughly a third of a mile and 400 feet of elevation gain just before the summit. Once on the summit you’ll have nice views out into Orange County and parts of Riverside behind you. Nick N6NGG had decided that he just wanted to hike that day and would skip the radio work. Will and I went about setting up 2-meters first. We did our standard operator handoffs and were able to log nine contacts quickly on 146.52 without any problems. At only 3273 feet and sitting among other taller summits, I was curious if Sitton would be a 2-meter friendly peak; it is. As you may have noticed I’ve added “2-meter FM” to the info overview at the top of these posts. 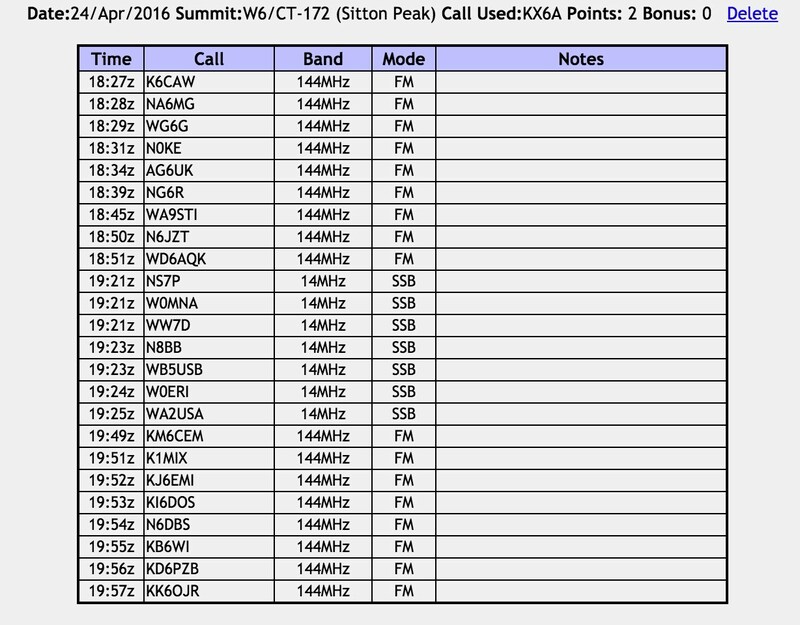 In my effort to help new hams get excited about SOTA I wanted to list summits that can be activated using just a handy talkie and a decent antenna. We also brought along our KX3 and AlexLoop for HF on this outing. It is the first time we’ve tried the AlexLoop on a summit. It worked just fine and helped in filling out the log on 20-meters. We also tried 40-meters but it was a bust with no takers. After grabbing some lunch we packed up to head down. 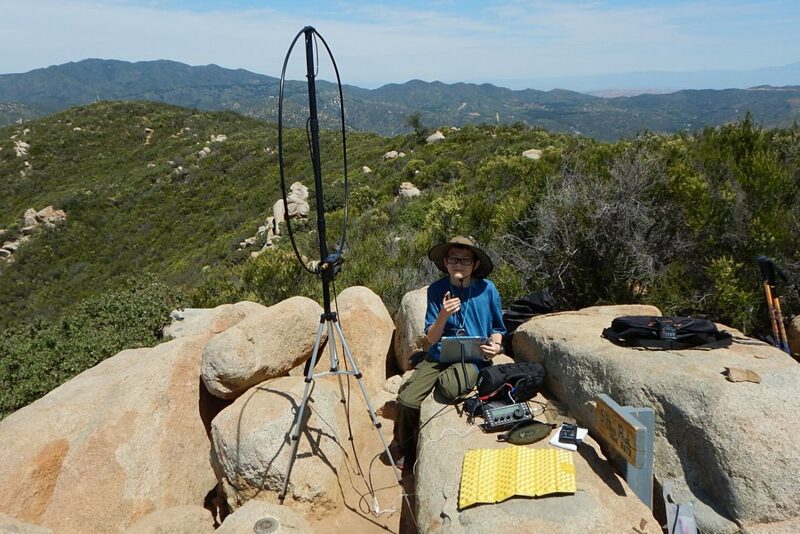 Just as we started to hike I heard Charles KM6CEM announcing he was monitoring for any SOTA stations on 146.52. Since we were still at the summit I returned the call. 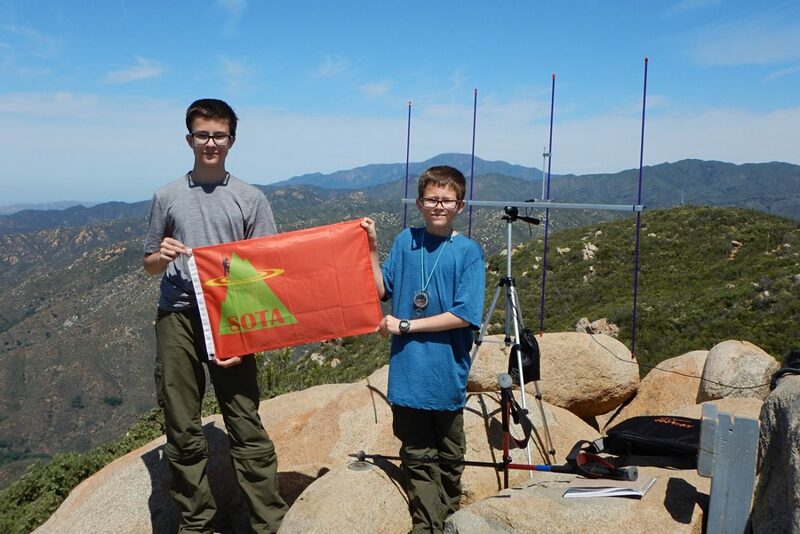 We did not have an ideal shot to his location but were still able to complete the QSO. What I was not prepared for was the seven other stations that heard us. I quickly had a small pileup going on 2-meters. The problem was that I had already packed everything away. I managed to use a note application on my iPhone to log those final 8 calls. All told that made for 24 contacts, 17 of which were on 2-meters. The best part about hearing Charles was that I later heard him calling Patrick KK6KUM and Yvonne KK6KUI who were about to summit Galena Peak W6/CT-042. We were well off our summit by then but were able to quickly log contacts with Yvonne and Patrick for a bit of chasing on the hike out. Of course this hike has the bonus of actual candy store right at the end of the trail. I’ve found that reminding my sons of this has an impressive effect on their hiking pace on the way out. 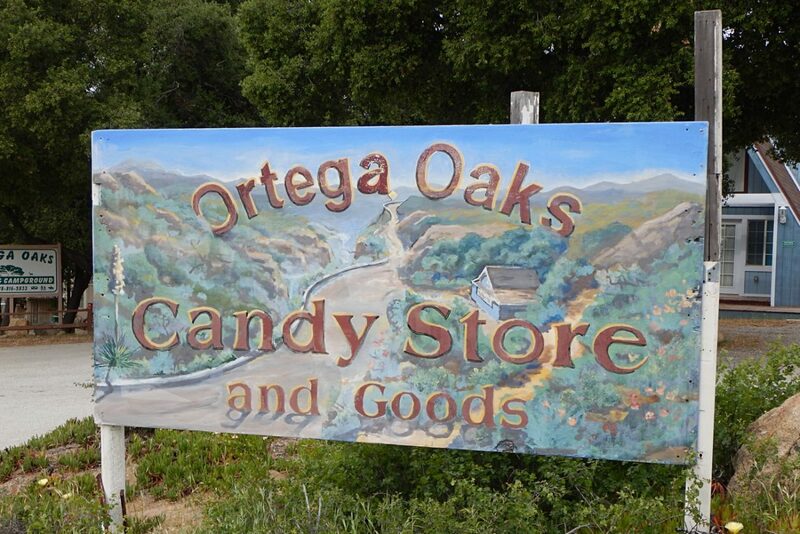 Soon enough we found ourselves at the end of the trail enjoying a well deserved treat at the Ortega Oaks Candy Store, another great day of hiking in the books. Great post and love the 2m effort for the locals. Whats your position on using 40m with the AlexLoop (I know we have worked each other on 40m, probably Alex to Alex) but I noticed you didn’t use 40m on this activation. The obvious comment is you will reach the AZ etc operators on 40m such as W7RV. I put a spot up and gave 40-meters a try for about 10 minutes with no takers. First time I think I have blanked on a band. Just wasn’t a good 7MHz day.